The Turquoise Table Lamp with Empire Shade is designed stylishly to complement a modern style home setting. 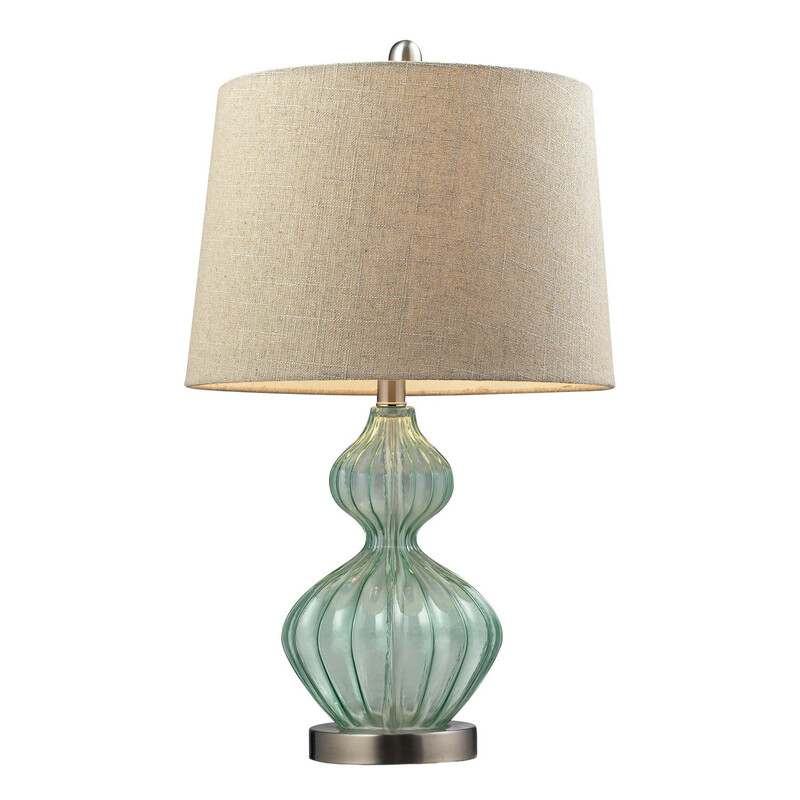 The table lamp features a light green glass fixture on a sturdy metal base, which features an attractive and distinguished look. The lamp has a linen shade that diffuses the light evenly in your room. The handcrafted empire shade looks beautiful on the glass base and creates a relaxed and calm ambience in the room.